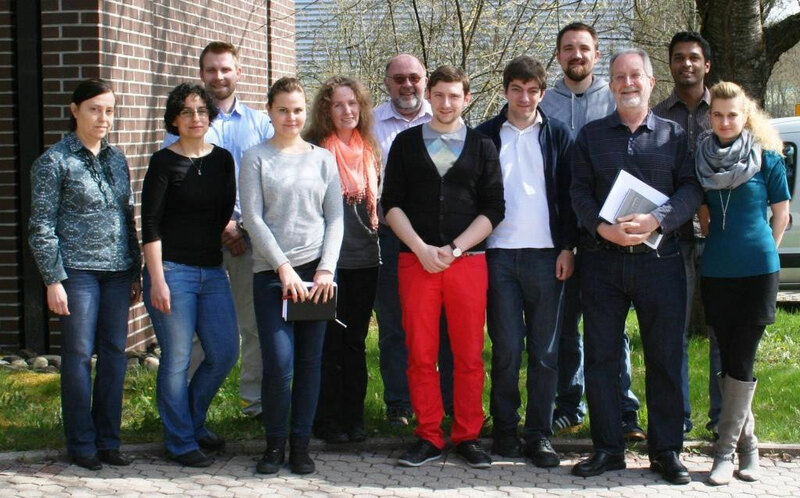 The Tübingen Ageing and Tumour Immunology Group (TATI) conducted research into human immunosenescence, vaccination, tumor immunity, immunotherapy, Alzheimer disease, longevity, immunity and aging. From 2019, TATI will consist only of Graham Pawelec, Professor of Experimental Immunology, Emeritus, Tübingen; affiliated with Health Sciences North Research Institute, Sudbury, Ontario, Canada; Visiting Professor at Nottingham Trent University, King´s College London, and Manchester University, UK, and associated with the Department of Immunology, University of Tübingen, Tübingen, Germany. From 1st January 2019, Nan-Ping Weng (National Institute on Aging, NIH, US) and Graham Pawelec took over the co-Editorship of the journal "Immunity and Aging" (https://immunityageing.biomedcentral.com/) from founding Editor Calogero Caruso. From 31st December, 2019, GP will be stepping down from the Co-Editorship of "Cancer Immunology, Immunotherapy". Is There a Positive Side to T Cell Exhaustion? Front Immunol. 2019 Jan 29;10:111. doi: 10.3389/fimmu.2019.00111. eCollection 2019. Review. Andrew MK, Bowles SK, Pawelec G, Haynes L, Kuchel GA, McNeil SA, McElhaney JE. Drugs Aging. 2018 Nov 9. doi: 10.1007/s40266-018-0597-4. [Epub ahead of print] Review. Immune parameters associated with mortality in the elderly are context-dependent: lessons from Sweden, Holland and Belgium. Biogerontology. 2018 Dec;19(6):537-545. doi: 10.1007/s10522-017-9739-z. Epub 2017 Nov 28. Unexpected Benefits of Aging for Favorable Responses to PD-1 Blockade in Melanoma? Clin Cancer Res. 2018 Nov 1;24(21):5193-5194. doi: 10.1158/1078-0432.CCR-18-1475. Epub 2018 Jun 15. Low levels of intra-tumoural T cells in breast cancer identify clinically frail patients with shorter disease-specific survival. Speigl L, Grieb A, Janssen N, Hatse S, Brouwers B, Smeets A, Floris G, Bailur JK, Kenis C, Neven P, Wildiers H, Pawelec G, Shipp C.
J Geriatr Oncol. 2018 Nov;9(6):606-612. doi: 10.1016/j.jgo.2018.03.021. Epub 2018 Apr 21. Accurate quantification of T-cells expressing PD-1 in patients on anti-PD-1 immunotherapy. Zelba H, Bochem J, Pawelec G, Garbe C, Wistuba-Hamprecht K, Weide B. Blood. 2018 Aug 9;132(6):553-554. doi: 10.1182/blood-2018-06-858696. Can an Infection Hypothesis Explain the Beta Amyloid Hypothesis of Alzheimer's Disease? Fulop T, Witkowski JM, Bourgade K, Khalil A, Zerif E, Larbi A, Hirokawa K, Pawelec G, Bocti C, Lacombe G, Dupuis G, Frost EH. Semin Immunopathol. 2018 Jul 13. doi: 10.1007/s00281-018-0697-6. [Epub ahead of print] Review. Le Page A, Dupuis G, Frost EH, Larbi A, Pawelec G, Witkowski JM, Fulop T.
Exp Gerontol. 2018 Jul 1;107:59-66. doi: 10.1016/j.exger.2017.12.019. Epub 2017 Dec 21. Review. Involvement of MicroRNAs in the Aging-Related Decline of CD28 Expression by Human T Cells. Teteloshvili N, Dekkema G, Boots AM, Heeringa P, Jellema P, de Jong D, Terpstra M, Brouwer E, Pawelec G, Kok K, van den Berg A, Kluiver J, Kroesen BJ. Front Immunol. 2018 Jun 18;9:1400. doi: 10.3389/fimmu.2018.01400. eCollection 2018. Relationships between the inflammatory potential of the diet, aging and anthropometric measurements in a cross-sectional study in Pakistan. Alam I, Shivappa N, Hebert JR, Pawelec G, Larbi A.
Nutr Healthy Aging. 2018 Jun 15;4(4):335-343. doi: 10.3233/NHA-180042. Inhibiting HSP90 prevents the induction of myeloid-derived suppressor cells by melanoma cells. Janssen N, Speigl L, Pawelec G, Niessner H, Shipp C.
Cell Immunol. 2018 May;327:68-76. doi: 10.1016/j.cellimm.2018.02.012. Epub 2018 Feb 21. Immune signatures associated with mortality differ in elderly populations from different birth cohorts and countries even within northern Europe. Speigl L, Burow H, Bailur JK, Janssen N, Walter CB, Pawelec G, Shipp C.
Breast Cancer Res Treat. 2018 Apr;168(2):401-411. doi: 10.1007/s10549-017-4594-9. Epub 2017 Dec 11. Immune signatures predicting responses to immunomodulatory antibody therapy. Curr Opin Immunol. 2018 Apr;51:91-96. doi: 10.1016/j.coi.2018.03.003. Epub 2018 Mar 15. Vaccines for Improved Cellular Immunity to Influenza. Immune correlates of clinical outcome in melanoma. Immunology. 2018 Apr;153(4):415-422. doi: 10.1111/imm.12870. Epub 2017 Dec 20. Review. Antibody Therapy for Cancer: Is It All Downhill?" You can find a complete list of recent activites or previous activities on this website. 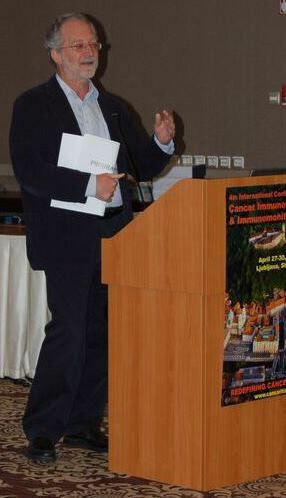 Graham Pawelec: "The immune system in the elderly?" Oct 1, 2016: Interview with Prof. Pawelec at "Adult Vaccines European Futuring Collaborative" , organized by Pfizer in Zurich (SUI). Aug 2, 2016: Kilian Wistuba-Hamprecht after the defence of his thesis. 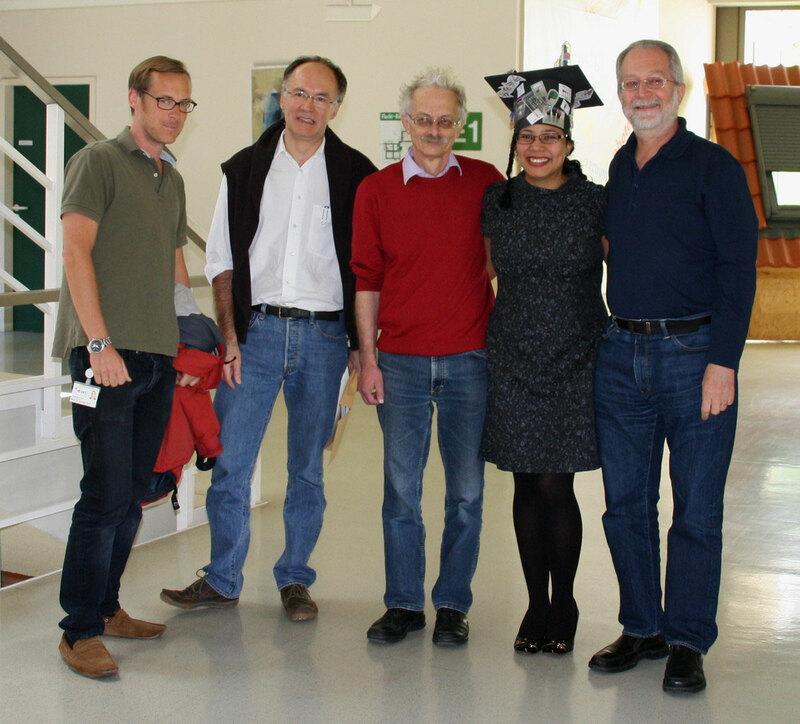 Sep 28, 2015: Jithendra Kini after the defence of his thesis. July 17, 2015: Alexander Martens after the defence of his thesis. March 25, 2015: Karin Haehnel has now left the TATI group after 20 years. 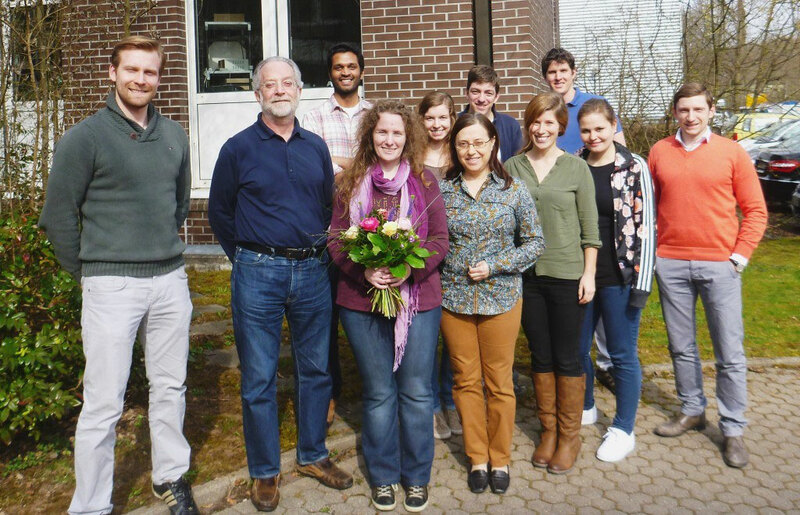 We wish her well in her new position with Prof. Julia Skokowa (http://www.researchgate.net/profile/Julia_Skokowa). 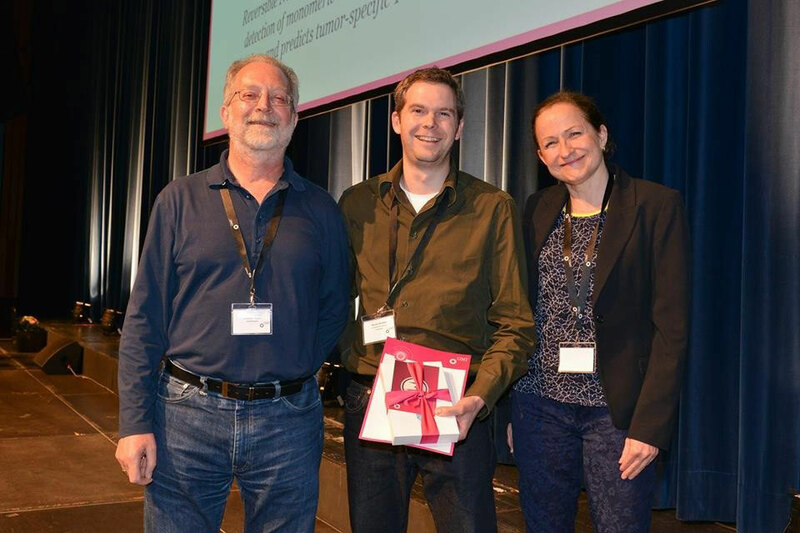 October 1st, 2014 in Brussels: Video of G. Pawelec on Causes and Effects of Immunosenescence in Humans at the Eurosymposium on Healthy Ageing 2014. 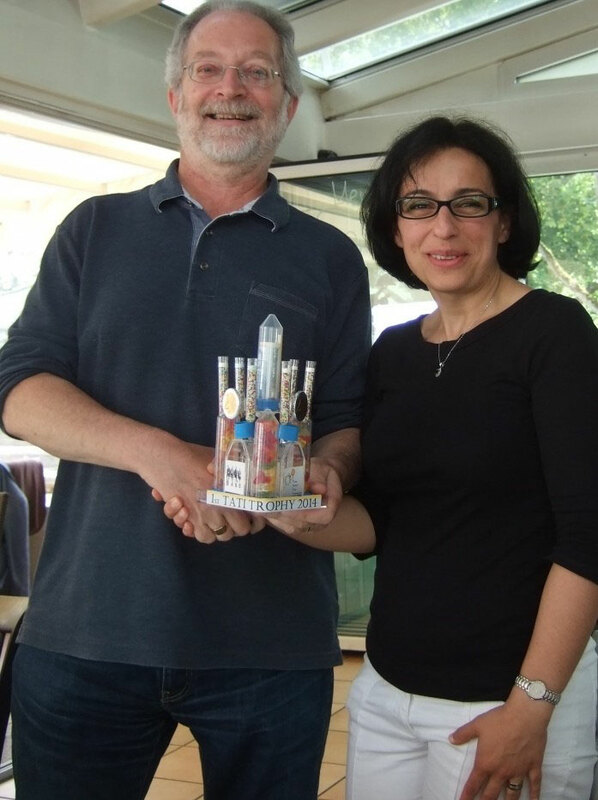 June 20, 2014: Dr. E. Derhovanessian gets the TATI trophy since she leaves the TATI group. 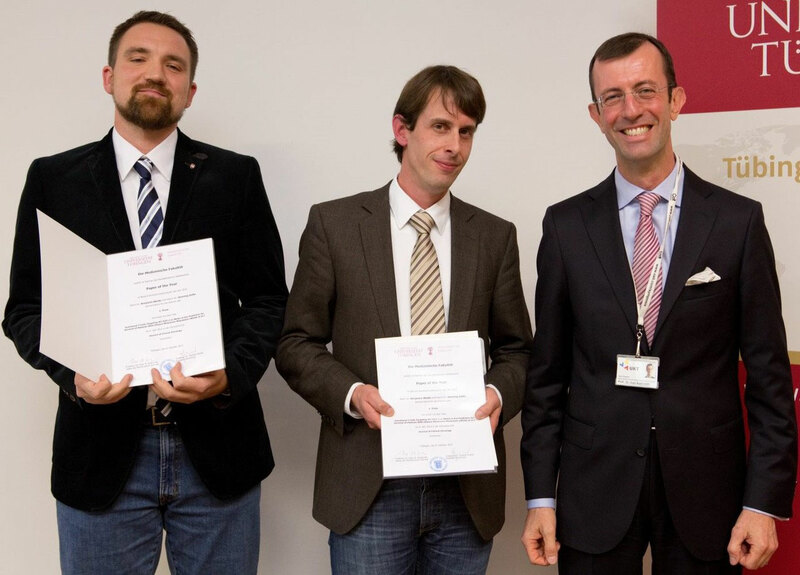 Henning Zelba & Dr. B. Weide get the prize for Paper of the Year from Dean Pof. 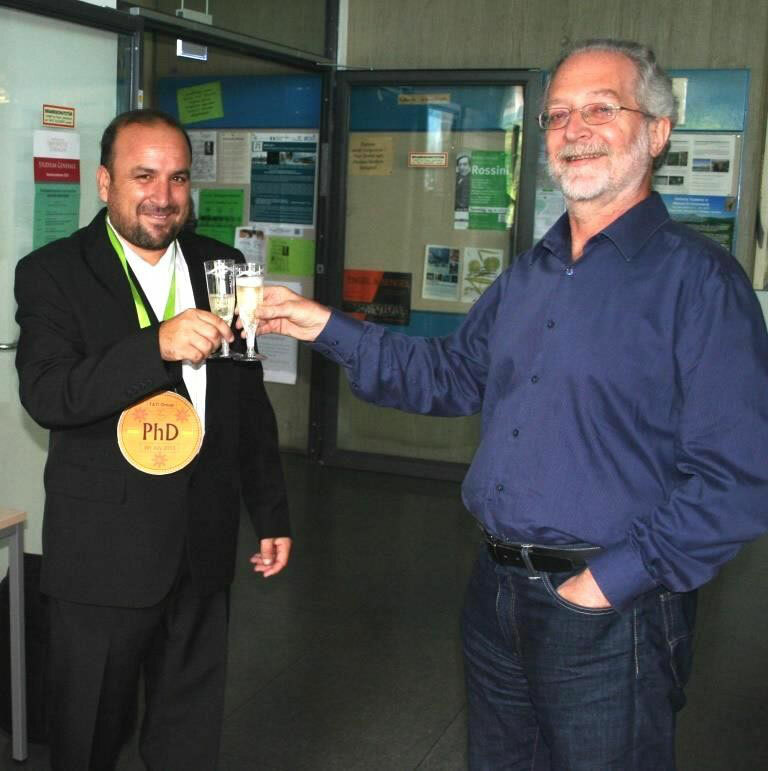 Dr. Autenrieth (see Activities) on Oct 8, 2013..
Iftikhar Alam after the defense of his thesis on July 4th, 2013 (using alcohol free sparkling wine). TATI Group on April 17, 2013. 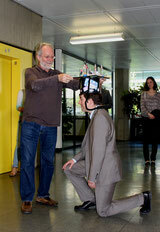 Henning Zelba after the defense of his thesis on April 16, 2013. 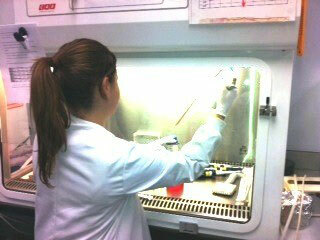 N. Janssen did an internship at the "Paterson Institute for Cancer Research" (PICR) in Manchester from February to April 2013. 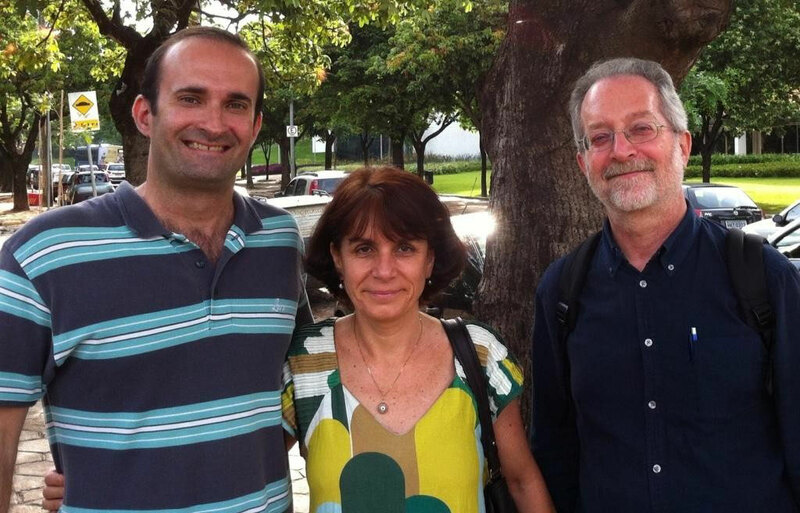 G. Pawelec at the First Workshop on Healthy Aging with the organiser Prof. A. Caetano and Dr. M. Bauer (Dec 2012, Minas Gerais, Brazil).